Speeding north through rural Maine, Eden Martelli wonders how her life came to this--on the run with her mute five-year-old son dozing fitfully in the passenger seat. 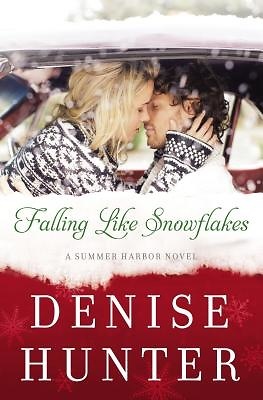 When a breakdown leaves them stranded in Summer Harbor, Eden has no choice but to stay put through Christmas . . . even though they have no place to lay their heads. Beau Callahan is a habitual problem solver--for other people anyway. He left the sheriff's department to take over his family's Christmas tree farm, but he's still haunted by the loss of his parents and struggling to handle his first Christmas alone. When Eden shows up looking for work just as Beau's feisty aunt gets out of the hospital, Beau thinks he's finally caught a break. Eden is competent and dedicated--if a little guarded--and a knockout to boot. But, as he soon finds out, she also comes with a boatload of secrets. Eden has been through too much to trust her heart to another man, but Beau is impossible to resist, and the feeling seems to be mutual. As Christmas Eve approaches, Eden's past catches up to her. Beau will go to the ends of the earth to keep her safe. But who's going to protect his heart from a woman who can't seem to trust again?